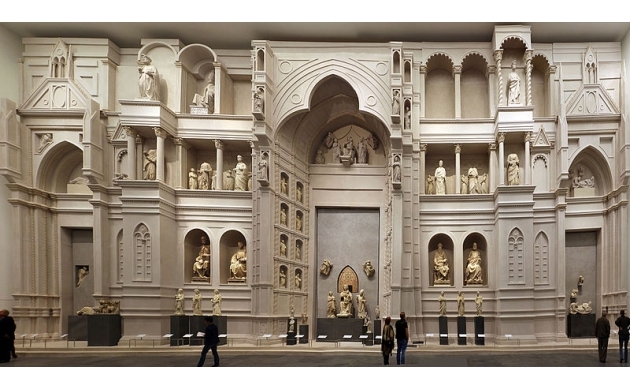 It's been only a few months since the Opera del Duomo museum has reopened its doors to the public. After two years of restorations, the museum returns with a doubled size, a new wing, and restored works that have never been displayed before. The Opera del Duomo museum is part of the Grande Museo del Duomo, an association that has its roots in the Fabbriceria della Cattedrale di Firenze, which was created by the Florentine Republic in 1296 in order to oversee the construction of the Duomo. For over 700 years, this foundation has collected stories, works, and tools that contributed to the construction of the Cathedral of Santa Maria del Fiore, the Baptistry of San Giovanni and the Campanile (Bell Tower) of Giotto. Over the course of the centuries, the museum has found a place to put works of art that were made for these monuments and then left in warehouses for decades. In total, the city has been given back over 700 works of art - from Arnolfo di Cambio to Verrochio and Donatello - in a journey that embraces seven centuries of medieval sacred art tradition and the Florentine Renaissance. 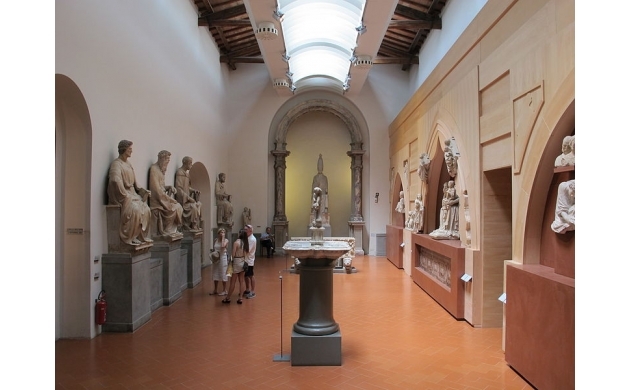 But the strong suit of the museum is its sculptures: displayed within the building are numerous masterpieces of Florentine sculpture, covering a broad time period from the 14th to the 16th centuries. 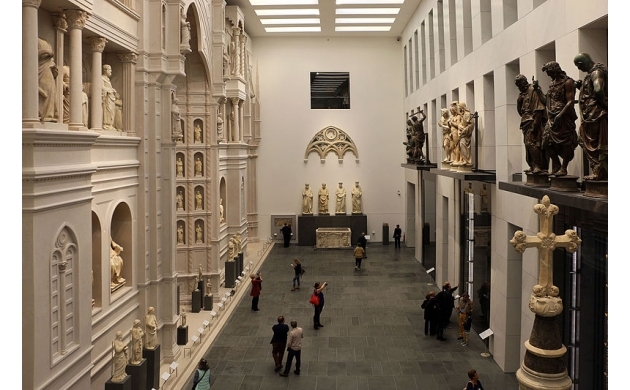 The collection is so vast that it has earned the museum the distinction of being the the largest collection of medieval and Renaissance sculpture in the world. Among the numerous prominent works of art we find 15 statues dating to the 1300s, around seventy fragments from the medieval facade of the Duomo, as well as 27 panels embroidered in gold and polychrome silk in the designs of Antonio del Pollaiolo. But above and beyond this collection, there are a few works that truly stand out for their unique qualities - the Pietà of Michelangelo, and the Maddalena of Donatello. 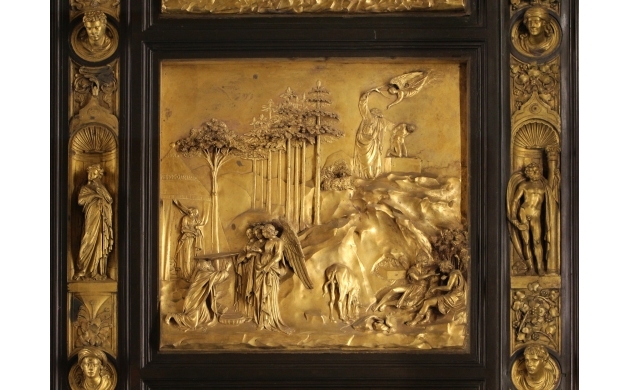 Today, however, I want to to tell you about two of the most original elements found in the museum: the Facade of Arnolfo and Ghiberti's two doors from the Baptistry. The true beginning of the Renaissance. This is without a doubt the largest spectacle that one can see on the inside of the museum. We're talking about a large room in the middle of the museum which holds a full scale replica of the original facade of Santa Maria del Fiore, in the original version designed by Arnolfo di Cambio. This colossal model was built in resin and marble dust in order to give it the appearance of the facade that was begun in 1296, never reached completion, and then destroyed in 1587. The reconstruction was possible thanks to a precise design that the Florentines made prior to the dismantling of the facade. Forty original statues were replaced to their previous niches in the facade. 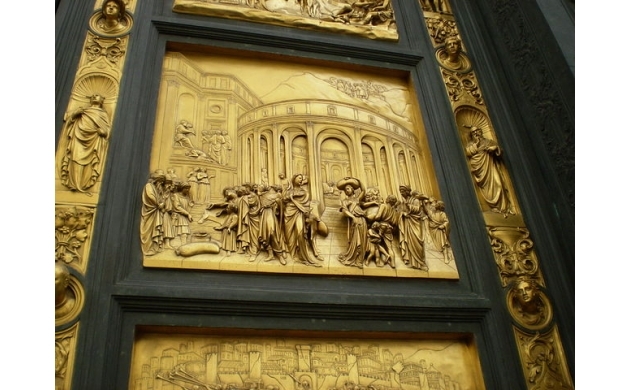 In front of Arnolfo's facade are now located the two Baptistry doors created by Lorenzo Ghiberti: the Gates of Paradise and the North Doors. Both were restored by the Opificio delle Pietre Dure. In 2017 the South Door by Andrea Pisano will also be added in its restored state. But again in this case the true novelty lies in a return to the original. The Gates of Paradise has in fact been relocated back to face Arnolfo's facade. As Monsignor Timothy Verdon points out, "the Gates of Paradise is not a stand-alone object, rather it was meant to stand in front of the unfinished facade of the Duomo with its 50 statues. All of this has been reconstructed to make it possible to see the two works just as Ghiberti's contemporaries would have seen them".